Been wearing this knife for a couple of months. The handle makes it different to use, but don't get in way while sitting, holds a pretty good edge. All in all pretty good knife. My son is a avid hunter. He loves it it's high quality and has a great edge and is affordable. The only complaint I have with this item, is that it doesn't come with a pocket clip, I had to order it separately. Other then that, the knife itself forms nicely to my hand when I hold it, and the blade is so durable and sharp I don't think I will have to sharpen it for a vary long time. The TDI metal clip is a great replacement for the Velcro Strips that come with the knife. 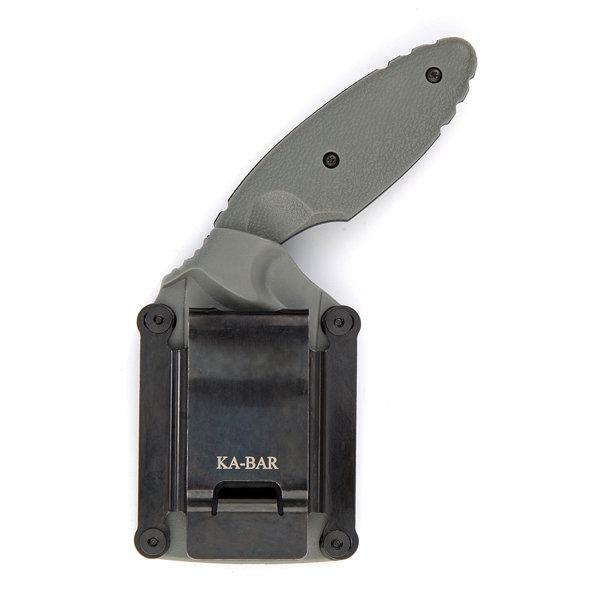 The metal clip allow the knife to be placed on the inner belt quickly, and allows for easy movement. It also makes it easy to wear the knife hooked to my jeans, under my belt.